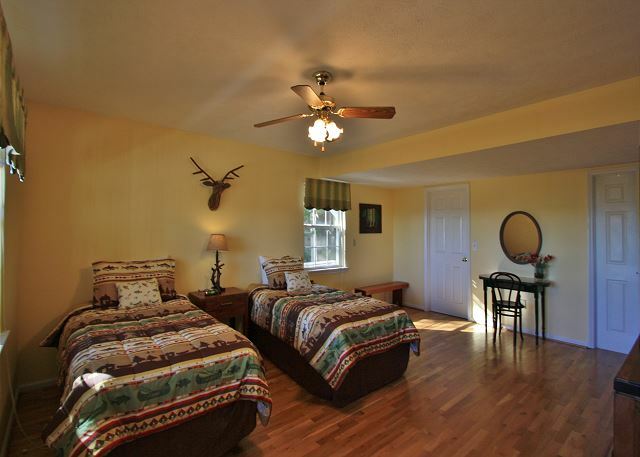 If you're looking for great mountain experience, then Sammy's Sanctuary is the home for you. 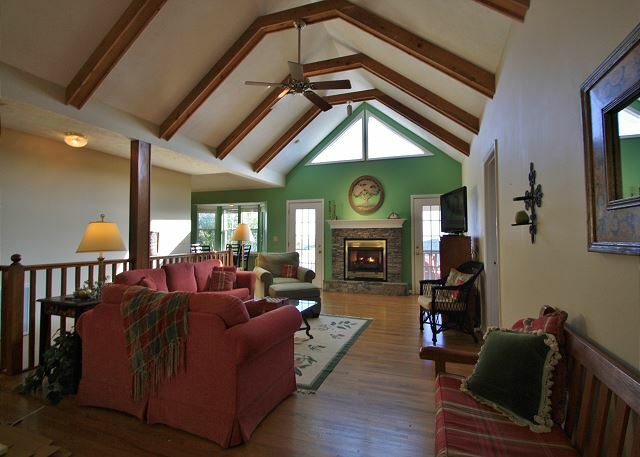 Located above Appalachian Ski Mountain off Alpine Drive (10 minutes to downtown Blowing Rock), this 3 bed, 2.5 bath home offers all the comforts of home. 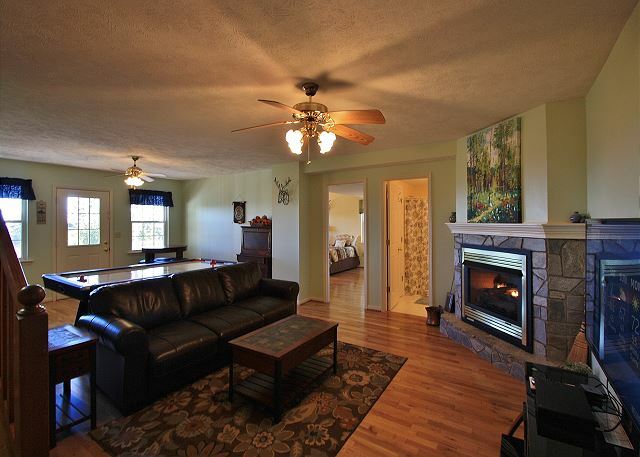 The main floor living room has a stone faced gas fireplace, flat screen cable TV, WiFi and access to the covered back deck where you can take in the long range mountain view. 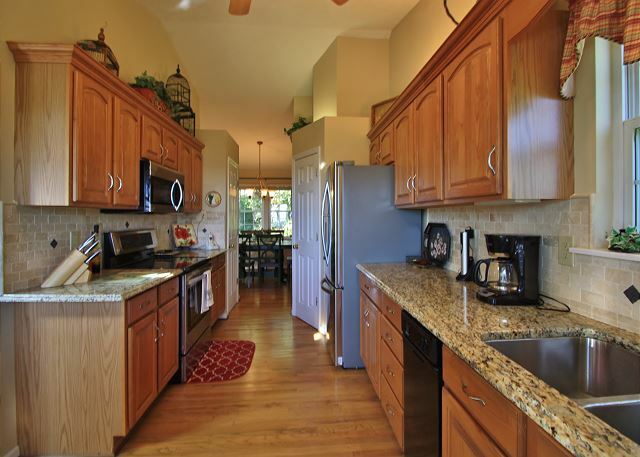 The fully equipped kitchen has been recently remodeled with an eye for detail and all new appliances. Dining table in dining room seats 8 and a breakfast nook in the kitchen sits 4, dining while enjoying the view, The main floor master has a king bed, private bath with stall shower and whirlpool tub, there is also access to the deck. 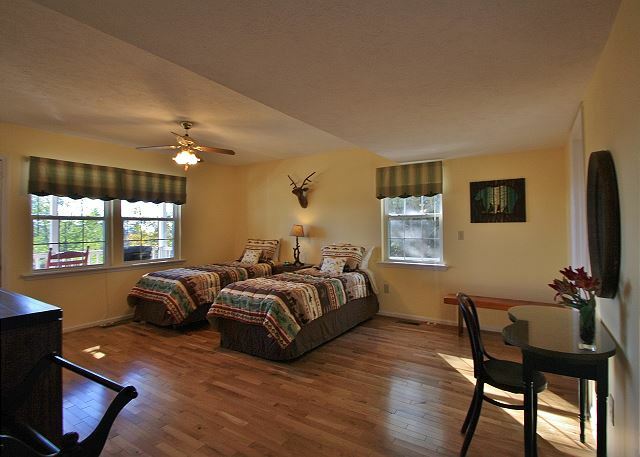 The downstairs level has 2 more bedrooms (first with 1 queen, second with 2 twins) which share a full bathroom. The downstairs living room has 1 queen sleeper sofa, cable TV, gas fireplace, game table, air hockey table and access to lower deck. Central A/C throughout the house. Parking for 3 cars. 4 wheel drive recommended for winter weather. Property maps may not be accurate on 3rd party web sites. Please contact the office directly for exact property locations. Sammy's Sanctuary was perfect for what we needed! Jenkin's Realty was super helpful and always polite the multiple times I called with questions. 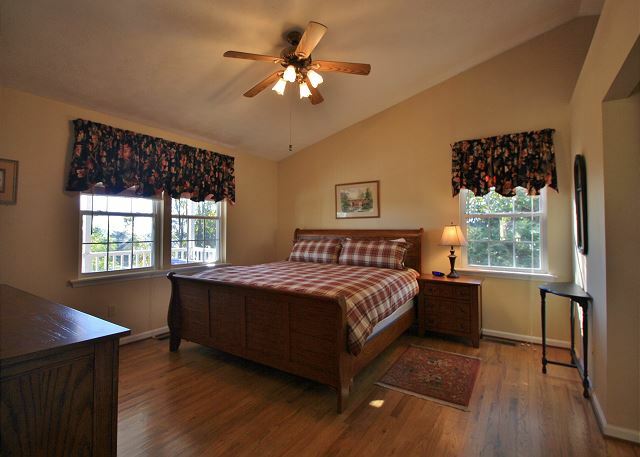 The home was clean and attractive, check-in and check-out were easy-peasy. It was perfect proximity to App Ski Mountain where we were taking our youth group. The large living/dining space was perfect for our whole group devotion, and the air hockey table was a huge hit, too. We look forward to staying again next year! We had a wonderful stay at Sammy's! 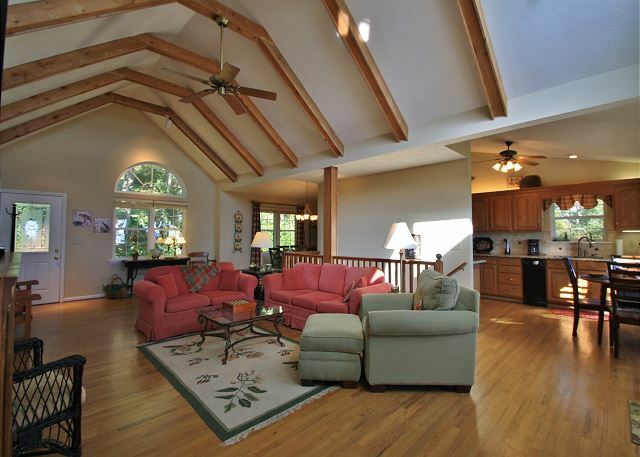 The house was impeccable, well stocked, and very spacious. The view was breathtaking! 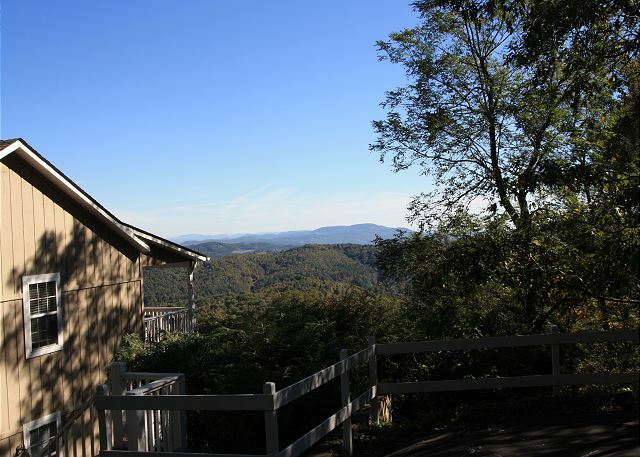 Location was convenient to downtown Blowing Rock as well as the parkway. We would DEFINITELY recommend this home! The best we have had in the Blowing Rock area! 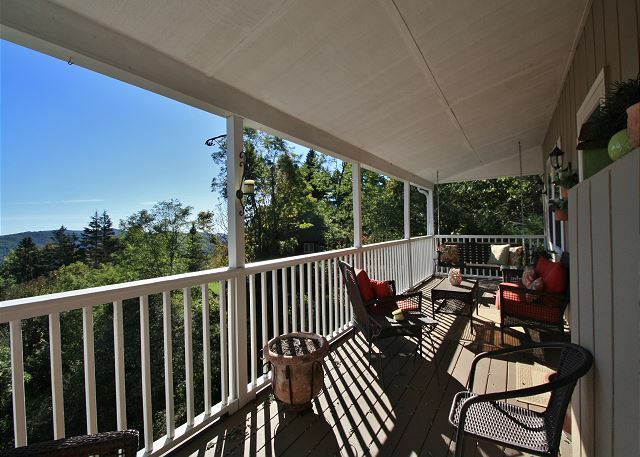 This place has a wonderful view of the mountains and has everything you need for your vacation. Super clean too! We would definitely return again.